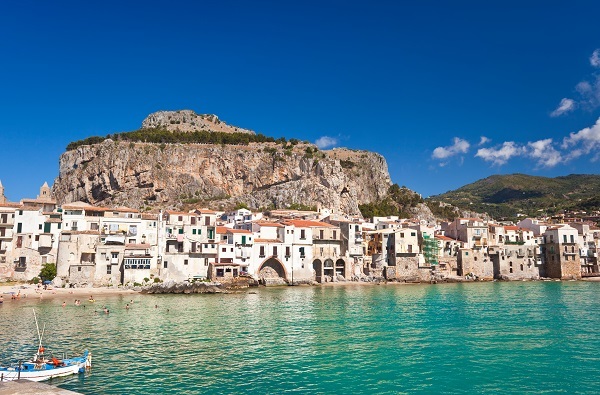 Perched on Sicily’s north coast, just over an hour from Palermo city centre, Cefalù Sicily is one of the island’s top spots for a holiday villa in the sun. Gorgeous sandy beaches are a major magnet but a fascinating historic centre and the city’s geographic location make it a great destination for anyone who finds it hard to choose between sightseeing and chilling on the beach. 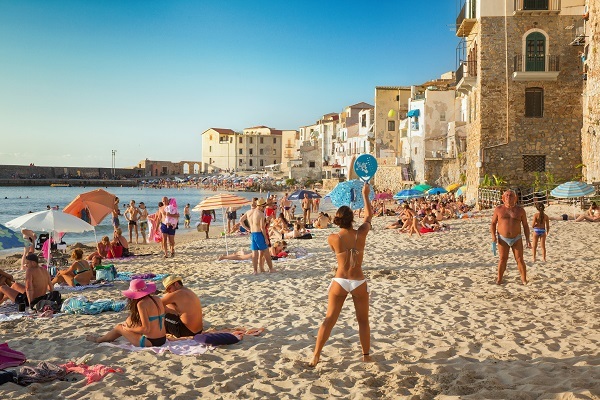 The main beach at Cefalù is one of Sicily’s finest, a long sandy strip, overlooked by the lungomare promenade, which stretches alongside the town. Be prepared for the crowds in the peak months of July and August or, for a quieter option, head slightly out of town to the beaches at Sant’Ambrogio, Le Salinelle and Mazzaforno. 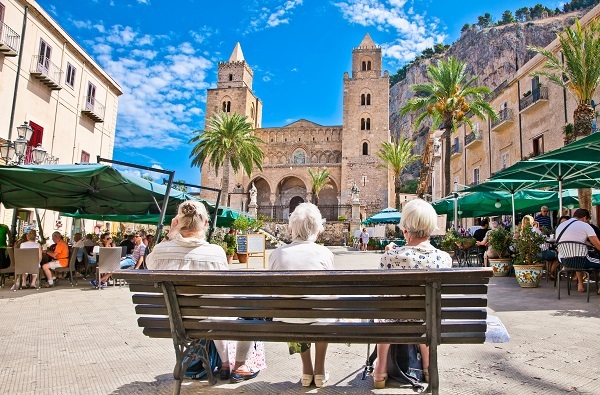 The city’s Duomo is a magnificent two-towered Norman cathedral, dominating Cefalù’s historic centre, and best known for its elaborate Byzantine mosaics. In 2015, together with the Cathedral at Monreale and seven sites in Palermo, the Duomo was declared a UNESCO World Heritage site. 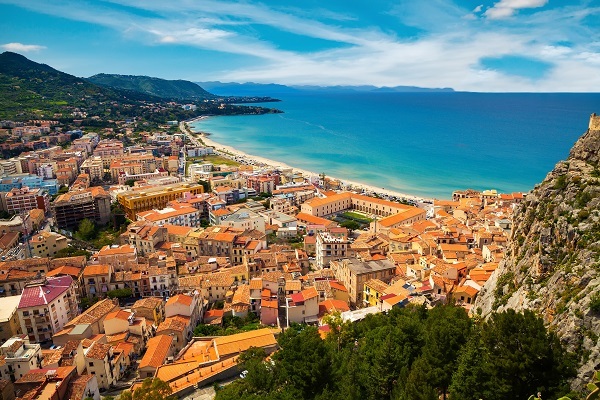 There are a lot of places of interest in Cefalù, the historic centre is made up of an atmospheric network of alleyways lined with medieval buildings. Visit the Lavatoio, an ancient Saracen wash-house, and wander down to the harbour where fishermen sit mending their nets and discussing the day’s catch. Take a deep breath before the hour long hike up La Rocca, a former Arab citadel and a must for anyone looking for the best views of Cefalù. The rocky crag looms over the city, topped by the ruins of a Norman castle. The route passes the ruins of the Temple of Diana, continuing up the Salita Saraceni, a staircase which twists its way through three layers of city walls, until it reaches the upper slopes which provide views across the city’s colourful rooftops and pretty harbour. 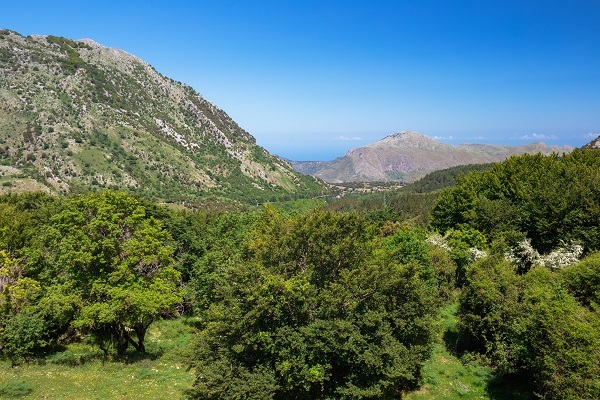 From Cefalù, it is a comfortable drive to the spectacular Madonie mountain range. Head for the traditional Sicilian town of Castelbuono, home to the 14th century Castello delle Buone Arie, then continue to the charming medieval villages of Petralia Sottana and Petralia Soprana. Guided walks and mountain bike tours can be organised if you prefer a more energetic option! Visit our selection of villas with pools in and around Cefalù Sicily.